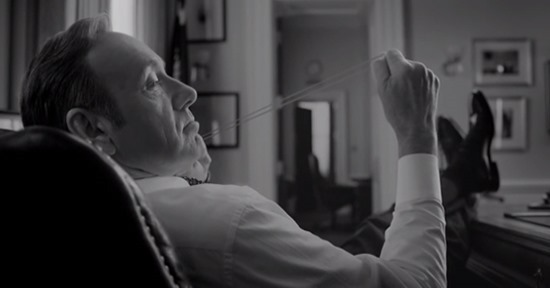 Scary Trailer: House of Cards: Season Two–There Is But One Rule! The modern Lord and Lady Macbeth are back! Netflix has just released a trailer for season two of House of Cards – and Kevin Spacey and Robin Wright have never been so scary. Check it out following the jump. House of Cards, Season Two will be released on Netflix on February 14th. Happy Valentine’s Day! Previous PostFX Announces Chozen Sneak Peek Exclusive to Xbox One!Next PostJustified – If It’s Crowes, Is It Still a Murder?